Reviewing my evening, I realized that I spent an awful lot of $$ on a slice of quiche and a glass of wine. Of course I didn’t have the receipt to double check the list of charges. I’m going to throw it out anyway, so why not have them? My late night detective work (i.e. 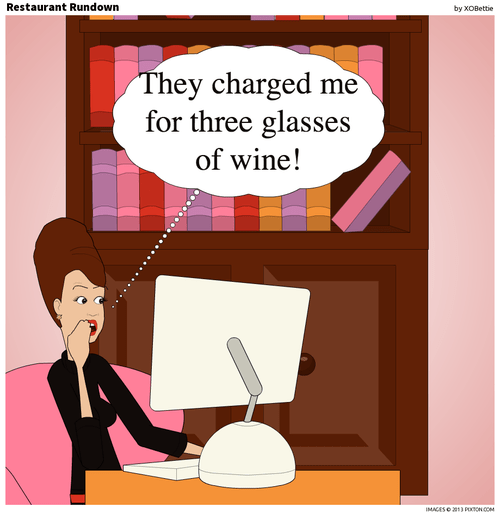 pulling up the menu on my mac) made me realize they mistakenly charged me for three glasses!! Can’t do anything about it now…. – shred the receipt only months later.